It's here...the 31-Day Challenge!! I'm really excited about this, as I'm not very experienced at nail art, so I want to use this as an opportunity to practice lots of different techniques. I'm an extremely left-brained person and not very creative, so I'll be taking inspiration from others' art for a lot of the prompts. But imitation is the best form of flattery, right? I'm hoping that this will be a springboard for me to start coming up with more unique nail art of my own. 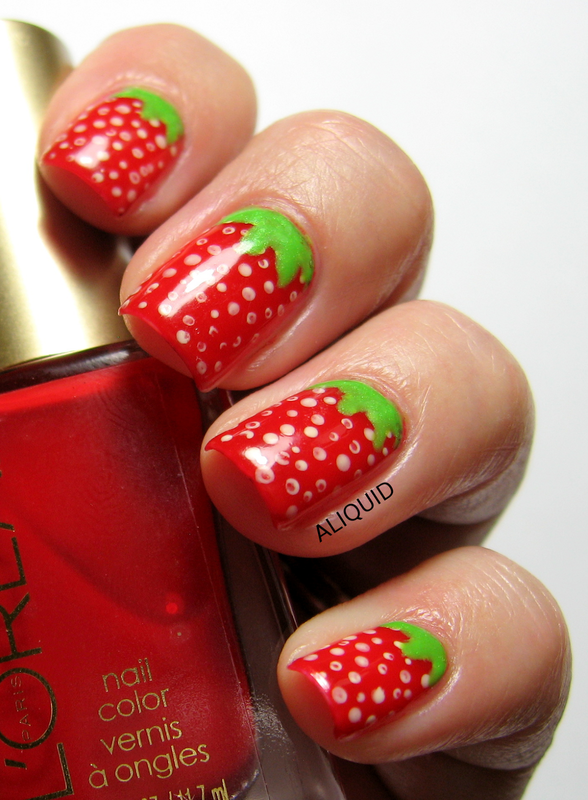 Day 1's theme is the color red, and I thought what better way to celebrate summer before it's over than with a strawberry mani? Fun and easy! I started with a base of L'Oreal Caught Red-Handed, then added the seeds with a dotting tool and L'Oreal Creme Puffs. I painted the leaves with a short nail art brush in Julep Mackenzie. I think these turned out really cute (and my husband was able to identify what berry they were on the first try). Check out all the other participants in the 31-Day Challenge (thanks to More Nail Polish for setting up the InLinkz)! Love this!! 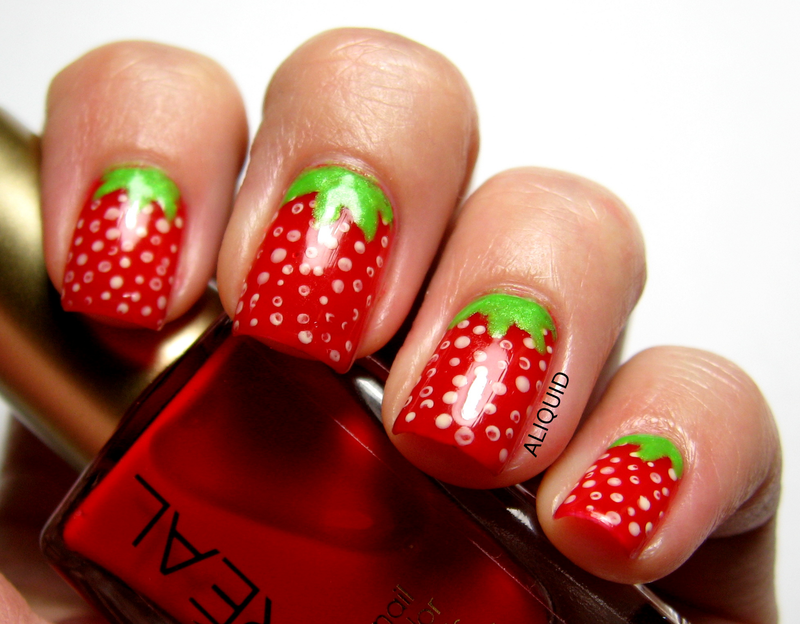 the strawberries look good enough to eat!